Very professional, personable, consistent and clean. I love that I can simply walk for am appointment, and he has weekend and later openings. In early 2017 I couldn't walk . Reactive Nerve pain from groin to foot. Dr Kirshner listen to my adventure, and how I believed the scar tissue from C-Sections was the problem. He explained my xray, gave me an adjust and asked me to wait a minute.....................He came back with his Cold Laser Therapy Wand with Crystal, and explained how it softened Scar Tissue......And it has blown my mind and corrected several things.I feel like a 40 year old Eagle who's shedding old feathers, so I can live another 30. If you have any scar tissue that pulling and causing reactive pain, I would try Laser Therapy right away. With Dr Kirshner's help I feel overall 80 percent better then just 6 months ago. Thank You!!! Very friendly staff and Dr. Kirshner is amazing! In 2013, after a car accident that caused several broken vertebrates in my neck and back, my hospital care team included a neurologist. Overall, I was treating with them for about 4 months and taking opioids. 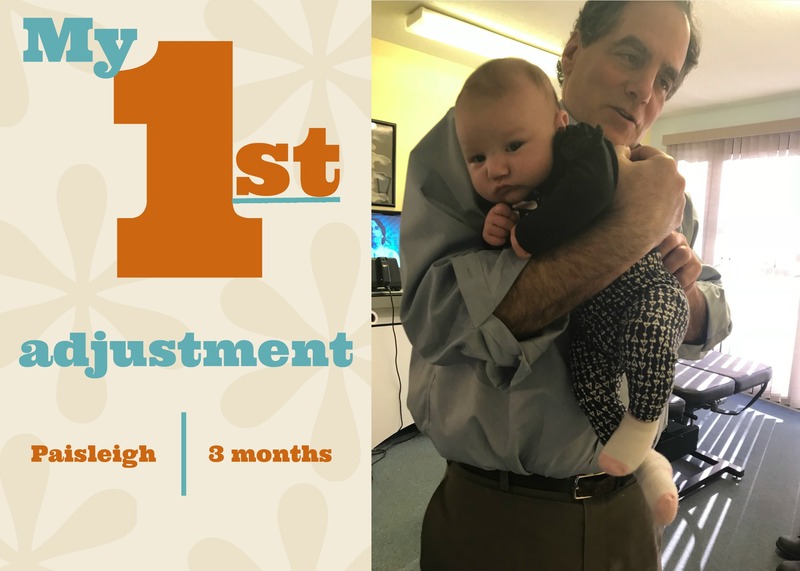 As I was approaching my release to work, I kept asking when I could return to my chiropractor as an addition to my recovery. The neurologist's office was very adamant when telling me that they would never advise me on when I could return to my chiropractor because they were against chiropractic care and treatments. They said that it caused scar tissue and ultimately caused more problems that what it corrected. After being told this, I then recounted to the nurse about how the previous year I had been in a minor fender bender accident right after having seen my chiropractor. My mom called my chiropractor and he rescheduled me for at 6 pm later than day. Right after the accident I was fine other than a minor headache. However, as the day progressed, the headache worsened and a myriad of other symptoms started until by the time my dad got home from work around 5 pm and I had to go to return to the chiropractor, I couldn't walk on my own and was extreme difficulty speaking. My chiropractor started working on me and as soon as he adjusted my neck all the pain, confusion, inability to walk and speak, everything went away. Like water being flushed down the toilet. I was 100% sold on chiropractic care. I returned to my chiropractor upon HIS advisement and not the neurologist's office. I told my chiropractor that I was ready to see him as soon as he medically believed it was appropriate. I started seeing him for adjustments for all of my body first. He recommended waiting a longer period of time for my neck to ensure it healed. Now, in 2017 I can bend, twist, clean the shower and using the bathroom are all easier to do now. In the past, I have tried Physical Therapy, massage, yoga, on top of opioids from the neurologist. Chiropractic is the only thing that has effectively reduced my pain and increased my day to day function. I recommend Chiropractic for anyone who has back, neck, or shoulder pain. I decided to try Chiropractic care for the upper, middle and lower back pain I was having. It has been ongoing for two or more years all while being treated by my PCP. I was only prescribed pain meds which only worked while in my system. All my activities were limited, if I was even able to get out and do anything at all. I was taking pain meds daily for 4-6 hours and once the meds wore off the pain came right back and was more severe. After only six weeks of Chiropractic care, I am more active with my little ones. They like to go for walks and play at the park. I would most definitely recommend Chiropractic care. The service I receive is amazing. I only wish I had come in sooner because now, there are no more pain meds for me and I feel like a totally different person! Yesterday, I came into the office with a lot of pain. My back/hip was bothering me and making my leg fall asleep. My shoulder hurt and my hands were falling asleep with carpal tunnel. Dr. Kirshner adjusted me and used his laser on my back, shoulder and hand. My back feels great, no pain and my leg has not fallen asleep! My shoulder hurts a little, but at least I can move and rotate it without so much pain. As for my hand, the swelling seems to have gone down and I was able to sleep through the night without it waking me. I am grateful that my pain is gone. Thank you for all you do for me! I first began Chiropractic Care when I was experiencing stiff neck and sore shoulders. Dr. Kirshner (Doc Crack is what I call him) has pretty much fixed me up good for 11 years. I've only been sick 3 times and never taken any medication. He makes people NEVER get sick. I would recommend Chiropractic Care. I spent over $200 getting an electric reading for a sore hand. All for nothing. I went to Dr. Kirshner who diagnosed a pinched nerve in my shoulder. He applied laser therapy and it was cured. Only one visit. I knew I should have gone here first. He's wonderful. I started chiropractic care because I had pain in my back and shoulder. I had this problem for almost five years now. 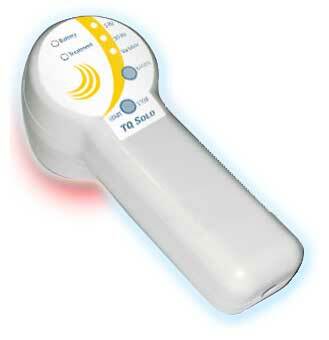 After starting chiropractic care, I saw information in the office about cold laser therapy. I had been experiencing pain in my knees. The pain kept me from doing activities I enjoyed such as biking, running, walking. I also really like to garden, but it hurt to be down on my knees. I decided I would try cold laser therapy. After having both treatments, my lower back pain is gone and I am able to walk with much less pain in my knees. I am very satisfied with the treatments. I would most definitely recommend getting cold laser and chiropractic care to everyone. The services are worth every penny. I used to come to Dr. Kirshner at Kirshner Chiropractic Life Center for my back. One day I came in and mentioned my foot pain to him. He decided to try the cold laser therapy on the foot to see if that would help. I noticed a difference within just a few visits. Before the cold laser, I had to take time off of work due to the terrible pain. I went to see a doctor who specializes in feet for a year before I tried the cold laser therapy. I had to take Ibuprofen for the pain as well. Now I am going to walk a 5K. I will most definitely recommend Dr. Kirshner and cold laser therapy to everyone! I overheard Dr. Kirshner talking about the cold laser and how scars can often cause pain when it heals. About 20 years ago I had to have surgery to have a cyst removed, I was left with a small scar. It hurt every time it got bumped. I didn’t take any medications for this, I just dealt with the pain. I decided it was worth a try to see if the cold laser helped. After the cold laser treatment I have regained all the activities I love to do, and I’m not worried about the pain anymore. It worked for me in just one treatment. I would definitely recommend the cold laser treatment to everyone. It is so worth a try. I just wanted to write and thank you for offering Cold Laser Therapy in your office. I had to have rotator cuff surgery in January of 2011 and after the incision healed and a period of recovery; was still having a lot of pain in my shoulder. My surgeon sent me to physical therapy and a couple of weeks later we started Cold Laser Therapy in your office. Finally I was getting pain relief, but short lived as I would end up in pain again in my P.T. session. Once my P.T. was completed I continued with the Cold Laser Therapy. After each treatment I noticed less stiffness and more range of motion and eventually complete pain relief. It has been a month or so since we completed the Cold Laser Therapy and my shoulder is back to normal and best of all, pain free! It is wonderful that you are able to offer alternative therapies that compliment my regular chiropractic care. I would highly recommend Cold Laser Therapy treatment! If you would like to have your success story listed on our website or inside the office, please ask us for a Testimonial form and we will gladly assist you!